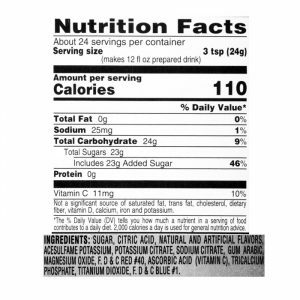 What’s more fun than a glass of fruit punch! 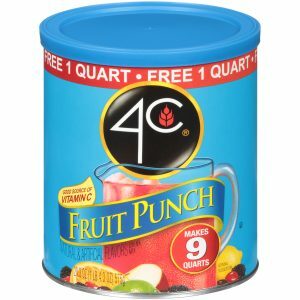 4C Fruit Punch explodes with flavor and is guaranteed to put a smile on your face. Good thing each canister makes 28 quarts so you can keep it coming! 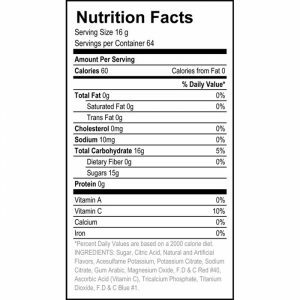 Sweetened with real sugar, a great source of Vitamin C and packed in an easy-open canister complete with a measuring scoop. 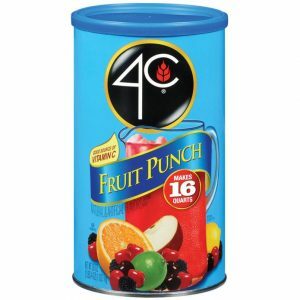 What’s more fun than a glass of fruit punch! 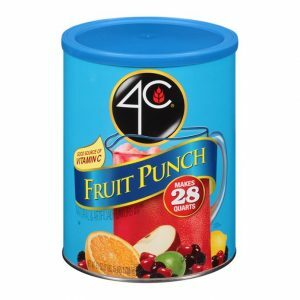 4C Fruit Punch explodes with flavor and is guaranteed to put a smile on your face. Good thing each canister makes 16 quarts so you can keep it coming! Sweetened with real sugar, a great source of Vitamin C and packed in an easy-open canister complete with a measuring scoop.